If that is in fact the case, then why make the hinge out of steel/aluminum at all? Why not a strong plastic composite? Maybe Im looking at it way too simplified, but the steel hinge and the amount of rivets needed would automatically suggest the structure of the flaperon is much weaker than the hinge. If that weren’t the case, then save a little cash and just pop in two or three rivets and be done with it. 9M-MRO subsequently underwent a major repair. I have always wondered if there was any possible link? Without pointing fingers, could debris come from the disposed materials following that repair? This could explain the “why 9M-MRO?” if this event is part of an elaborated plan. i am not sure whether photos can be matched or not. Interesting find about the wing repair. Also is worry all the debris from MH17 (shoot-down over Ukraine) has been accounted for – especially the parts now attributed as MH370 debris. Anyone able to verify this? The “debris” has become really problematic. Damage analysis of the debris cannot show how it became separated from the aircraft and Drift analysis shows it unlikely originated from the SIO – or maybe even planted. Yes ofcourse, it’s not only about the difference in tension-strenght between metal and carbon/fibreglass laminates. It’s also about difference in dimensions and direction of forces between a metal part attached to a laminate part. What I meant is when under same tension force and with equal dimension/section a metal piece will break before a carbon/fibreglass laminate piece. @HB, Cargo Handler. 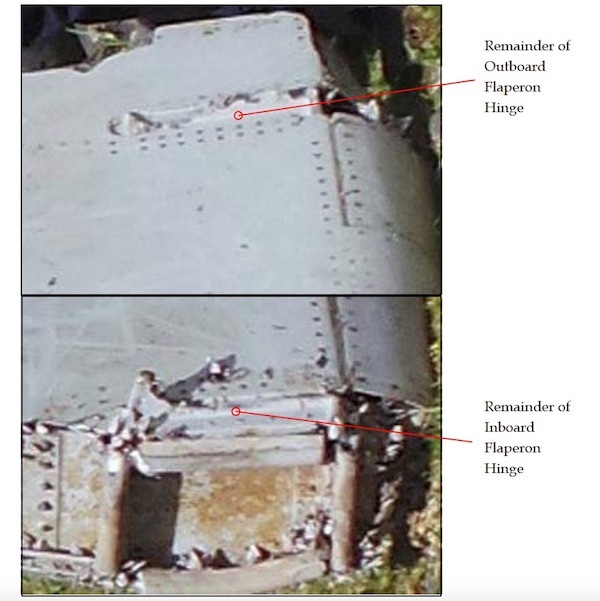 About the MH370 wing tip damage see FI p26. Maybe i am wrong but I presume a repair of this kind does not only involve just patching the wing tip, it requires major parts replacement. Which parts have been replaced and what happened to them is unknown. MAS had also a few other incidents on other B777 requiring overhaul. if they replaced the flaperon as part of fixing the wing , then the flaperon with the serial number was not likely in service when MH370 disappeared but was laying around in the warehouse of sorts. it is a possibility but i am not saying it happened though. I don’t know enough about Boeing AOG maintenance processes for such a case. @HB. I look forward to the references. As yet I do not see how the natural frequency in bending of a solidly mounted 8” slab of Nomex with carbon fibre skins can be used to predict the divergent flutter airflow of a flaperon, even if that were mounted rigidly at its leading edge. While the slab might match the flaperon for length and breadth the latter’s metal stiffening vice that of Nomex would change the frequency I would have thought, as might the different mass distribution. Besides that the flaperon cyclic movement which stimulates aerodynamic forces will not be in bending about its nose so much as rotation about hinges well below and torsion. The flutter frequency will depend on its moment of inertia and the stiffness variation from having two, one or nil active actuators at its leading edge. With one active there will be torsional asymmetry, adding to the equation. With none, it will be even more different to the cantilevered plate. @David, references given in previous page. i can email these otherwise. The model does not actually predict “divergent flutter airflow”. To clarify, the model predicts the natural frequency (which is the inherent resonance frequency of the component and not the actual frequency). The flutter test is basically based on the Braodbent Number (which is a function of Speed and implicitely actual frequency of excitation) and flutter criteria. Based on the Broadbent approach airflow is not explicitely modelled and the test is to check whether the natural frequency matches the Broadbent criteria. If yes flutter can lead to frequency resonance and damage. It is of course a simplistic analytical model. I am not saying it is the most accurate approach and also the geometry is coarse. Nowadays, FEA is employed to estimate natural frequencies. Unfortunately, i dont’t have access to an FEA tool anymore. Nomex modulus of elasticity is virtually negigible compared to FRP. It can of course be accounted but it takes more time to do that and results not expected to change significantly. You are right about the mass distribution, this is a limitation in this model as mass is uniformly distributed as opposed to slightly decreasing away from the hinges. If you change the mass to account for uncertainties about this aspect we are still away from the criteria. You are also right about the boundary conditions, we are limited in this model. in this case, the FreeFreeFreeFree boundary condition would be the most representative I presume. Both results for FixedFreeFreeFree BC and FreeFreeFreeFree BC are already far away from the criteria. Note also this approach does not account for damping factors conservatively. The most uncertain element in this model is the lack of detailed knowledge on the through the thickness composite structure and FRP layer orientation. If that were true, the hinges would be too strong and would add unnecessary dead weight to the airplane. Therefore it can’t be true. 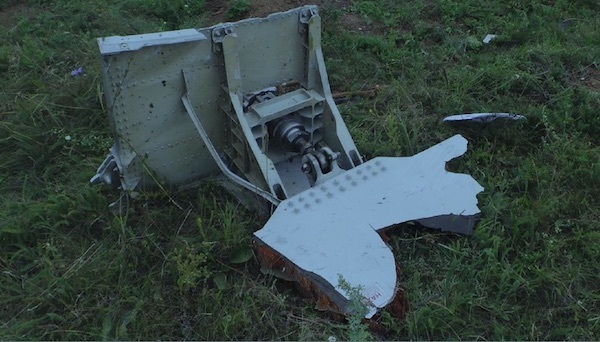 A piece of MH17 debris is shown as an illustration of that erroneous statement. The heaviest element is the hydraulic actuator and its support fixture. That assembly would be subject to large inertial forces when the wing hit the earth. Those forces probably separated that debris from the wing structure. The force exerted by the spoiler fragment (if that’s what it is) on the hinge were probably inconsequential to the separation. BTW I believe that the hinges of a B777 door can fail in a crash and leave the door itself essentially intact. But that’s not a wooden door, of course. @HB. Thanks for that. I had gone through the references you provided but they did not deal with the matters I raised or where this all integrates with Broadbent. For example the NASA reference was about panel-type vibrations and the effect of altitudes. “.. whether the natural frequency matches the Broadbent criteria.” What reference describes those criteria and their origin? I appreciate you comment that the calcs are approximations but I remain unclear as to to whether the outcomes are reliable enough for flaperon flutter prediction, particularly with uncertainty about composites thrown in. The hinge brackets are unlikely to be made of steel. They appear to be integral with the endribs, at least the center section of the endribs. We don’t know the material of that part of the flaperon. It could be either an aluminium alloy or a composite material. I’m not sure which rivets you are referring to. You are right to question the Broadbent criteria as in this particular case referred, given the geometry, it has shown its limitations. For the flaperon/wings, i don’t see any reason for not applying these criteria but I welcolme any comment/suggestion. If you want to discuss offline, I will be happy to do so. Jeff has my email and can forward to you. it will be easier to send attachements and references. @HB. Thanks for the reference re-posting. I had read both earlier but the Broadbent reference is to a 1957 report whereas the ATSB referred to one of 1954, “Elementary Theory of Elasticity…” It is that I think which explains his criterion beyond what the ATSB had to say about it. I have been unable to locate it and I thought that might be what you intended posting. If you have it, would you please? As you know the ATSB report at p9 notes that while the criterion had been used to clear the Nomad to fly, an added unconventional trailing edge device led to flutter. I suspect a flaperon might be even more “unconventional” to what he had in mind. Even if so, his 1957 work is of interest. At p16 he discusses transonic effects prompting aileron flutter. That sort of problem was difficult to predict back then and may still be. I wonder how transonic flutter clearance would be demonstrated in a large transport aircraft? If after the above you think there is more about the applicability of Broadbent to discuss, with or without the 1954 report, please let me know and I will ask Jeff for your address. Yes it does. There have been doubts about the so called MH370 wreckage for a long time. The context of the finds, regarding timing, location and who.how most of the pieces were found is strange. The simplest explanation for these conundrums is that the evidence was planted, as part of a cover operation to hide the real cause and motive behind the MH370 vanish act. You have a lot of courrage to tackle aeroelasticity. I don’t have an online copy but you could obtain here. The bottom line is that there has been no official attempt to explain the failure mechanism of the debris. This tension – compression observation is cheap compared to the high profile of this case. @HB.Thanks. I knew something about it once. The Australian Transport Safety Bureau has conceded it could be another three months before it releases its report on its failed search for Malaysia Airlines flight MH370, further angering families of the 239 victims. The ATSB had indicated to family members that the report on the $200 million underwater hunt would be finished and published about now. But ATSB spokesman Daniel O’Malley has now told The Australian, “we anticipate that the report will be released in the third quarter of this year”, meaning it could be published as late as the end of September. The two-year search of 120,000sq km of ocean, funded by Australia, China and Malaysia but directed by the ATSB, ended in January without finding a trace of the aircraft. The ATSB came under considerable scrutiny from scientists who had suggested relatively early on that drift modelling of debris from the aircraft found on the other side of the Indian Ocean indicated it came down further north than the area searched. Some senior airline pilots and air crash investigators claim the ATSB’s strategy was flawed from the start because it assumed the Boeing 777 had crashed in a pilotless “death dive” rather than being flown to the end and outside the search area by a rogue pilot. 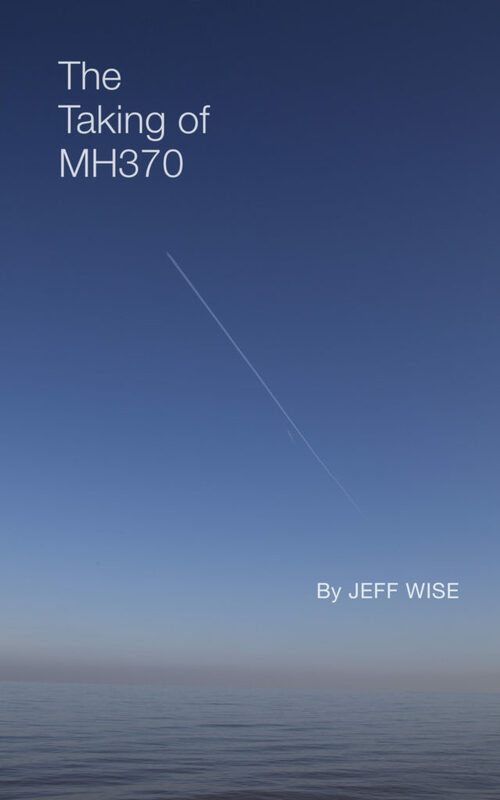 MH370 disappeared on March 8, 2014 on a scheduled flight from Kuala Lumpur to Beijing. Primary radar and automatic satellite tracking data indicate it doubled back over Malaysia 40 minutes in, before turning south on a long track to the southern Indian Ocean. There is an expectation that the report on the search could be used by the ATSB to advance its tacit campaign to have the three governments relaunch the survey in a new 25,000sq km area north of the old one. Queensland’s Danica Weeks, who lost her husband Paul on MH370, said the continuing delay in the ATSB’s formulation of its report was increasing the angst of the families. “This is our lives they are playing with. We think of loved ones 24/7 and how this could happen; we hang on any, every information that surrounds MH370 and always will until the answers are forthcoming,” Ms Weeks told The Australian. Despite the plea from Ms Weeks, Mr O’Malley would not provide a clearer timeline for the release of the report, or explain why it had been delayed. The delay comes amid continuing outrage among victims’ families at the refusal of the bureau’s chief commissioner, Greg Hood, to grant a Freedom of Information request from The Australian to release assessments of its “death dive” theory by a panel of international experts looking at the satellite data. The lack of resolution on MH370 also sparked debate about the need for recorders that could be more readily found after crashes. Airbus has said it will equip its aircraft with new cockpit voice recorders and flight data recorders able to record up to 25 hours of information. One will “be deployed automatically in case of significant structural deformation or … submersion”. BTW, I find that if I access The Australian via Google I do not get stopped by the paywall. Sometimes I have to clear the cache. The Search report might have more on that and on biological analysis if relevant to search area. Conceivably it could add to final plunge and drift data. However on the flaperon the French should have imparted their findings to Malaysia, which has investigation responsibility. On the flap, the ATSB was looking principally at evidence of them being up or down. Other findings I suppose would be with Malaysia too, to integrate with their work. Yes their tension-compression assessments to date tell us little. As to a specifics requirement for damage analysis and impact reconstruction, there is none much that I can find in ICAO Annex 13 or Doc 9756 pt 4 about investigations and reporting. Both are on line. 9756 pt 3 8.7.6-8.7.9, Examination of Pieces has a little though that supposes a MH17 type reconstruction. BTW at 9.8 there is a section describing some failure and other aspects of composites and laminates you may not seen. Good find Dennis! As usual in this smoke and mirrors world we’re living in, nothing is quite as it seems. Ribbeck Law Chartered seldom appears in court, but hovers up potentially troublesome litigants and sells them on to Colson Hicks Eidson, whose president is Lewis Mike Eidson who came to England as a student and dis time in the US Army Adjutent General’s Corps. Monica Ribbeck “Kelly” is simply a red-herring for lead player Eidson, who I suspect runs controlled opposition for the US Secret Service. The misdirection continues. When you look at the list of items that should have been done according the this manual and appear not done: ranging section 3, 4.11, 4.12, 9. The lead investigators will have a hard time to demonstrate compliance. There is no excuses for section 4.11 and 9. Hope to see details in final report. Well maybe the von Ribbecks just figured that the whole affair is dead in the water, and decided not to waste any more time on it? It’s still strange though, German aristocrat lawyers, from South America. Somehow this affair has attracted it’s fair share of shady lawyers. I just had a look at Blaine Gibson’s website, he gave up right? I still personally like the (‘my’) North Korea theory, especially in light of how China’s attitude towards NK has gone down the crapper in the years since. I know it’s basically Alien-abduction-unlikely but still. Has anyone started taking bets yet on “MH370 place of discovery”? Under is an addendum to my recent paper on flap separation sequence. Both the addendum and paper have been forwarded to the ATSB. Not so fast … its already well established a KL – NK air smuggling route. Well documented. Pls expand “your theory” beyond that ….. Thanks for your comments a couple of pages ago re: 9M-MRO debris. I totally respect your efforts for an innocent explanation but yes I suspect the provenance of the debris is questionable. Indeed your keen observation that, if this was the case, the flap-track end had to be ~8 inches before its fully retracted flap position when this impact would have occured. While the outboard flap is actuated by screw-jacks (not by PCU’s) which keep it fixed in a certain position independent of hydraulic failure (it would stay fixed in the position it’s in in this case), it’s hard to imagine how the outboard flap could be first in a retracted position when the flaperon is assumed to have hit the outboard flap in line with the flaperon, then later partly deployed to cause the flap-track-end hitting the seal pan and cause that vertical seal pan crack. Imo if this was the case it has to be either one or the other; the outboard flap was partly deployed or it was fully retracted. So both observations, although from your (and ATSB) point of view quite correct, are conflicting eachother and ruling eachother out Imo. I think the problem lies in the assumption the flap-track-end caused the big vertical crack and the flaperon’s trailing edge spar-end caused the dent and cracks in the seal pan and upperskin in that trailing edge positions. I still think both assumptions cannot be right. First the flaperon’s assumed point of impact into the seal pan. This crushed point is not only too far inboard to possibly have hit the seal pan without causing a scratch in or around the dent, it also would mean the trailing edge of the flaperon must have been gone before something like this could have happened anyway. Almost the complete trailing edge part of the outboard flap section is intact along the seal pan and there is no impact damage visible behind the dent at all. If the flaperon impacted the outboard flap, its trailing edge would have impacted it first if in line. Unless the flaperon’s trailing edge had seperated already before the assumed impact or the outboard flap was deployed. I think the only solution is the flaperon could not have caused the dent and upperskin crack there and the flap track did not cause the big vertical seal pan crack. The more logical explanation still is Imo the big seal pan crack (and the one towards the inspection door) is a tension crack caused by by a big hit (or several hits) at the underside of the outboard flap. The dent and lifted upperskin there are caused by opposit compression forces Imo. Another clear indication for this scenario can be seen in figure 13 (zoom in) of the ATSB-report. You can see the upperskin right above the vertical crack is deformed inwards and outwards. Just where you would expect compression forces on the upperskin would cause such an effect. So @David, although your observations and conclusions are very precise as always I argue your (and ATSB) assumptions cannot be correct. And as we all know; deducing from wrong assumptions leads to ever more conflicting information. Which is a good thing for in the end it will ‘kill’ those assumptions (including mine if wrong;). Yes, I’m kind of relentless in expressing my views I know but always trying to base them on common sence, locic, objective facts and information available. As long as there are no obvious indications the debris (or data) was tampered with and can be explained by natural fenomena in a better way I choose for the latter. And Imo the latter is still more logical and possible. @Ge Rijn. Thank you for your thoughts. To iterate briefly, I think the flaperon impact broke the flap under upwards and rearwards forces. Elastic flexing reverberations at the flap inboard end then caused track free-end rebounds within the seal pan, the last causing the forward crack. That end had travelled 8″ already. The other end’s separation at the nearby support mechanism followed. An alternative to that is the flaperon remained hooked on during this second or two and did more forcing. Perhaps this was while still restrained loosely and briefly at its front by attachment to its outboard actuator as its inboard end pitched up. It is easier to see the forward crack caused by external forces than just some residual bouncing about – what I take to be your doubts. However the remaining-hooked-on then would require an explanation other than flaperon release as to why the initial free end strike did so much evident damage to the stiffener, horizontally and vertically. You might argue again that water-hammering in a flaps up ditching would reduce this uncertainty but that to me does not explain all this damage, the rearwards forcing or the ‘penetration’ damage.The last looks nothing like compression damage, though again to me. As to the appearance of the flaperon rear spar ‘penetration’ as before I do not share your problem with that, though access to a decent photo of the damaged rear flaperon spar would help still. I note that the ATSB, with direct access to the flap and, I surmise, more photographs of that spar, raises no doubts. Likewise, I do not think there need be much flap damage caused by the flaperon bottom skin being broken off before or during the penetration, if not edge on. You point out what looks like compression damage above the forward crack. With no fastener distress I had hoped it might be a dent from another flaperon impact, maybe that dent under its outboard nose. That would help with an explanation of the last strike but 26, 28 and 14 make it appear (to me) that it is an inflexion in plan-view shape. I had looked at it in 26. It looked at first like a hump but not when the download is expanded. I guess we have a different approuch based on different assumptions on this matter which leads to different interpretations. And I think we still have too little information. I think it would clearify a lot if the ATSB could tell us which cracks and damage show mainly tension failure and which mainly compression failure in and around the seal pan (and other parts of the outboard flap section ofcourse). Like where pulled fibres (tension failure) are more evident and where kinked fibres (compression failure) are, like as mentioned in the Malaysian debris analysis on the other debris. I think the ATSB should provided this kind of information also with their debris analysis. As you seem to be in contact with the ATSB could you ask for details in this regard? You will be lucky to get this information. For the flaperon, we are not even sure ATSB has this information but for other Debris i agree it will be useful. The French Investigation Report should contain minute details if they comply with ICAO Manual of Aircraft Accident and Incident Investigation Part III Section 9 (link sent by David). I had a look at that section and it is very detailed and specific on what findings should be recorded. For composites, it makes even distiction between fibre buckling, delamination, fibre fatigue. For aluminium, it also makes distiction on where the fatigue originates from. I am pretty sure that whoever performs this analysis will be baffled. My take is Malaysia/ATSB will not spent a penny on this. The reason is that they believe that a power shutdown caused the SDU to stop communicating on the last ping and they deduced a total incompatibility with a ditch scenario (which requites power) and hoping everyone to believe this scenario as fact ignoring all other unmatching data (the list is growing with time). If we cannot find what happened analysing satcom data, we probably can learn someting from radar data (we have been told it exists) and debris data (hard evidence). Time to change strategy. 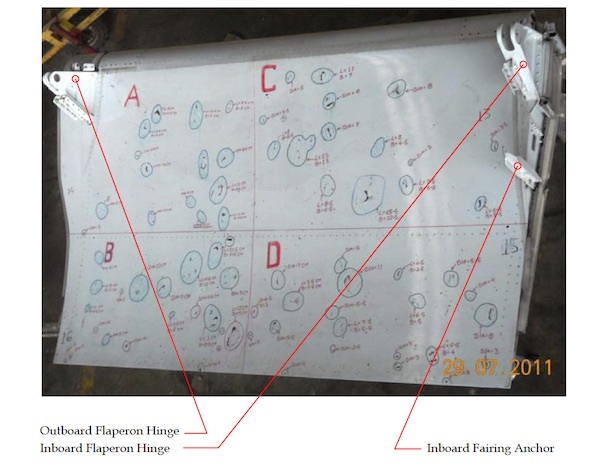 It could well be the ATSB does not have the detailed forensic analysis on the flaperon from the French. Regarding the French do not approach their investigation as an aircrash investigation but as a criminal investigation it could well be they allready know exactly how the flaperon seperated and in which attitude the plane was when it did. It could well be they are obliged by their laws on criminal investigation that don’t allow crucial evidence to be shared with other countries let alone the public as long as the investigations are ongoing. It could be they just wait for more information and evidence to show up to make their case stronger. Or maybe even have a stand like Australia suggested; they don’t want to damage bi-lateral relations and choose to keep crucial information secret. Then I think also the ATSB does not really need the flaperon’s info in detail. They have the outboard flap section which Imo could provide all the anwsers the flaperon could bring (except bio-fauling). Maybe even better. And as far as I know they did not hand this most important piece over to Malaysia. I wonder why not BTW, while they are not responsable for the debris/forensic investigation but Malaysia is. That said, I believe the ATSB is completely capable of conducting this kind of forensic debris investigation complying with the ICAO manual. And it’s hard to believe they not already did this kind of detailed forensic analysis on the outboard flap allready but perhaps wait with disclosing this till the final report. I hope so. And if they (or others) did not investigate it like this yet it’s about time they make a serious start with it and provide information as soon as possible. The sea-floor search for Malaysia Airlines flight MH370 has now (Feb 2017) been suspended, with no sign of the plane having been found in the area suggested by careful analysis of the Inmarsat transmissions. (3) do model simulations of the trajectories of all plane parts and assess the most likely location of the crash, taking into account all available information on where debris has been found, and not found, on shores and during the initial 6-week aerial search off Australia. Issues confronted during this work include windage, near-surface shear, Stokes Drift as well as the effect of wave forces on irregular-shaped items. The result of this work was surprisingly precise, with a surprising degree of confidence. We think the plane is in the region slightly north of the region that has been thoroughly searched, just slightly farther away from the ‘7tharc’ than has been already searched, most likely between 36°S and 35°S. In my view, this could qualify as new evidence. A new search here will give us a firm conclusion at circa 100pc confidence to convince the unconvinced. Whatever the result of this search, it will be conclusive to determine what happened. Since it is not possible to match all the data and budget is not a constraint, i would say why not so long as they keep some budget for microscopic analysis of the debris failure mechanism which should be less than 0.1pc of that budget. In a way I agree with you. Indeed either way a search of this new area will give important results. If they again don’t find the plane it will prove their assumptions have been wrong again. But such a result will tell hardly anything new about where the plane could be else or what happened to it. IMO the uncertain and in some ways obvious conflicting results and conclusions of the latest CSIRO studies make this new multi million dollar search a very expensive gamble. And the big risk involved if this search would be conducted is that it will be the final attempt whatever the outcome. First spend that 0.1 percent of the budget on a thorough forensic investigation of all debris (with independent investigators involved!) and only after this has been done make up your mind about further steps. I stumbled upon a short intriguing movie. A ditching in the Pacific by a Boeing Stratocruiser in 1956 who lost power on both its left wing engines. With a happy ending; everyone survived although the complete fuselage broke off behind the wings during impact. Interesting to me also is the plane circled around to wait for daylight and to burn all its fuel before ditching. 1. I do not think the ATSB would have described the penetration damage cause as they did were there evidence from the fractures to the contrary. 2. If they have not looked into that there will be nothing they can tell us. 3. As a general observation, by itself the very broad characterisation of fractures in some composite recovered debris has not helped much. 1; I agree you would assume the ATSB have described the cause of the penetration damage only after also looking carefully at all evidence from the other fractures. They did not (yet) provide any detailed fracture analysis like tension/compression, pulled or kinked fibres etc. So we don’t know if they considered other evidence this way to support their ‘penetration assumption’. I call it ‘assumption’ cause the ATSB did not present their conclusions as proof. 2; If they did not looked carefully this way to all fracture damage they cannot tell us anything about it indeed. But then the paradox comes with 1; how did they make the assumption of the penetration without investigating in detail all other fracture damage? 3; As a general observation I don’t see a very broad characterisation of fractures in the recovered debris as described in the Malaysia-report. It’s almost all tension related damage on trailing edge and engine related parts. I think it would be very interesting if they would find (or have found) compression related fractures in the outboard flap section. Only the ATSB can tell if they did a full ICAO compliant investigation of all fracture damage. If they only would state ‘yes or no’ this would be a bit helpfull imo. Much better ofcoure if they provide a full damage analysis report of the outboard flap section. Interesting video. On the one hand, we have to say that looks intriguing for explaining the lack of debris for MH370. On the other hand, we have to also consider the interior pieces of MH370 (bulk head and video monitor frame). Those pieces look a lot like they got blown out the tail section in a nose dive that would have compressed the cabin air and blown out the internal pieces. Imo the (only) three found cabin pieces could be better explained by a similar seperation of the tail section or another breach of the hull during a ditch-like event. I think in case of a blow out of interior pieces in a nose-dive impact like you suggest there should have been much more interior pieces (and other pieces) blown out and found by now. I repeat again; ~90% of the pieces found are trailing edge/surface control/wing related pieces. And a nose-dive impact contradicts the big nose-gear door piece which shows no compression damage. The nose -gear doors would have imploded into the fuselage and shattered in little fragments beyond recognition imo. Another argument against a (high speed) nose-dive impact is imo the almost intact shape of the monitor mounting and the not that badly deformed closet panel which also shows no compression damage on the honeycomb (as far as I can see) and was teared out by a force from behind pushing it from its attachments (clearly visible in the pictures) to the front of the plane. In a nose-dive this front-closet panel would have been blown to the aft and through all material behind it. Imo no way it could have survived the way it did this way. To me this is all fairly obvious it had to be a ditch-like event. But ofcourse I can not prove it either. This pilot chose deliberately and wisely ofcourse to wait with a ditch attempt till the brake of daylight. And he deliberately burned up his fuel to prevent fire as much as possible during the ditch. Both circumstances happened to be the same with MH370: ‘çrashing’ at the break of day and without fuel left. Yes that is interesting. I was just testing your interpretation of the interior pieces. I was interested in the cause of the ditch (bad fuel or hardware issue in the engines?). @Ge Rijn. Paradox. Yes, fair comment. However I think they could have come to that conclusion without that detail if they had sufficient information on the appearance of the flaperon spar and whether it was a match. I doubt that the ATSB has responsibility for fracture damage assessment generally except as relevant to the search or as requested by the investigators. They may have done this on the flap for all I know and passed the results to Malaysia. If satisfied that the flaperon hit it, however that satisfaction was realised, and that the aircraft hit the water within the limits of the new search, going further or disclosing superfluous information would be unnecessary. I am not intent on defending the ATSB, only describing why I will not be following that up with them. Any (unlikely) response probably would not help. The incentive might be stronger for you? About the nose wheel door. It would be forced into the wheel well if hit from the underside but it could be blown outwards or crushed length-wise in a “nose-dive” impact. In that, need it have imploded into the fuselage? Even if so, why would no evidence of compressive damage rule that out? Mostly their assessments are of the skin. I don’t expect the ATSB to answer any more questions on the outboard flap either. a ghost flight after FMT with an unpiloted high speed dive impact now at 35S with 100% certainty. Although it’s clear to many this 35S cannot be right. And although imo (and others) a high speed dive impact and unpiloted flight after FMT cannot be the case either. I’m afraid they will keep defending their assumptions till kingdom come without ever releasing possibly conflicting details and never allowing independent investigation. Without a detailed (independent) forensic report we can discuss the debris-damage also till kingdom come without ever being able to conclude something definite. To me it’s obvious but hopefully someday soon prove will confirm what happened. In this regard I expect more from the French in the end with a truly independent detailed forensic report on the flaperon.